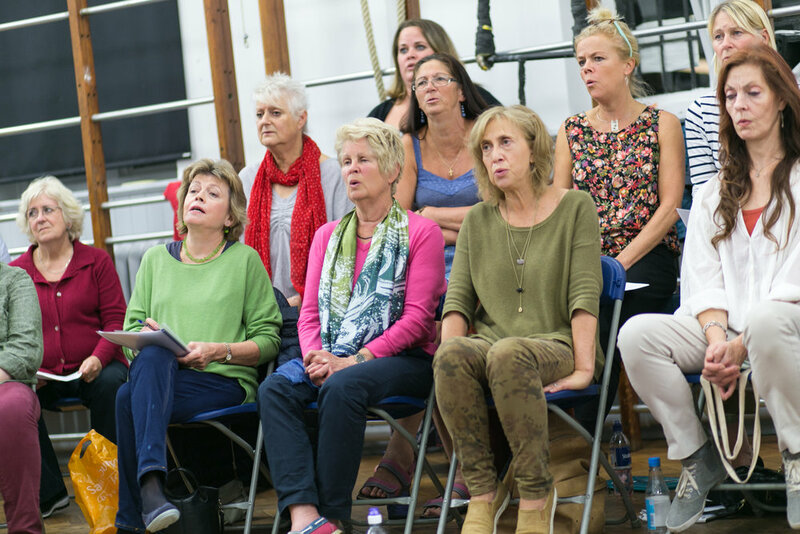 Barnes Community Choir is a lively and welcoming choir for singers of all ages, backgrounds and abilities. We sing contemporary choral works, pop, jazz, gospel and musical theatre pieces, which we learn by ear in fun and informal weekly sessions. We perform in and around Barnes as well as further afield at venues including the South Bank Centre, Tate Modern and Young Vic. Our Spring term sessions run on Thursday evenings at 7.30pm, up to and including Thursday 4th April (no session on Thurs 21 February - half term). Come and join us any Thursday. Your first session is free! See us perform in the Barnes Music Festival at 7.30pm on Thursday 21 March at Holy Trinity, Barnes. and your first session is free! Come and try us out with a FREE trial session. £40 thereafter for 5 weeks in advance (or £10 for a one-off session). Call Pauline 07958 690749, or find us on social media. All you need to join the choir is a curiosity about singing and an enthusiasm for meeting people and making music. No previous experience is necessary and there is no audition! Joe encourages us to practice a little and provides us with recordings of our parts online so we can sing along at home. 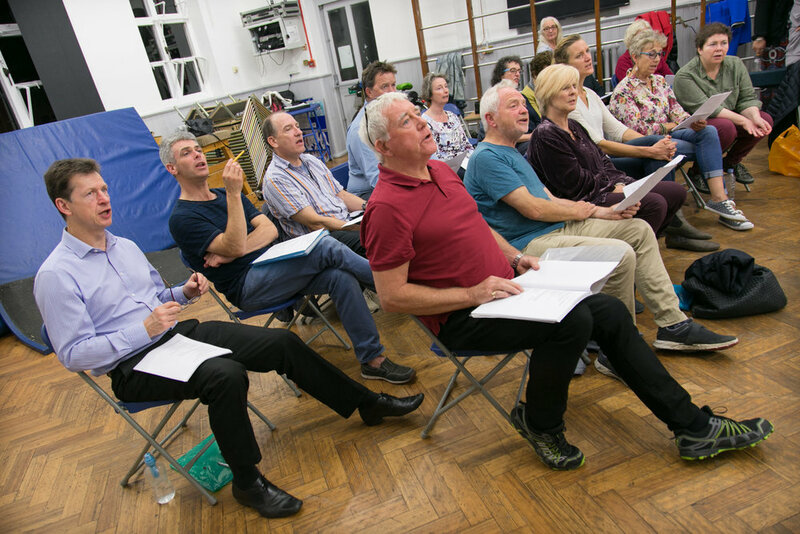 Barnes Community Choir was founded in 2011, with the goal of offering accessible, fun and high-quality musical opportunities to anyone who wanted to join, with no auditions required. 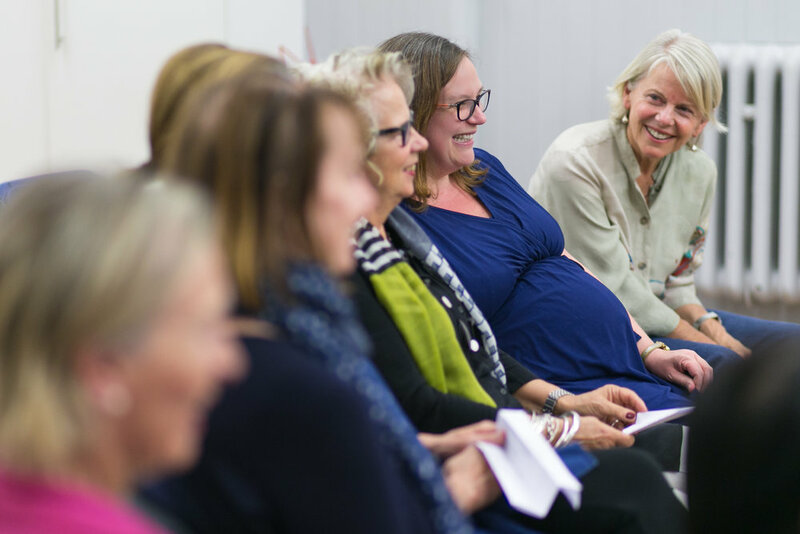 The choir has grown in numbers and confidence over the last six years and we tackle a wide range of repertoire but we have always maintained that original ethos of full participation and good humour. We sing contemporary choral works, pop, jazz, gospel and musical theatre, all of which are learnt without sheet music, so no sight-reading ability is necessary! 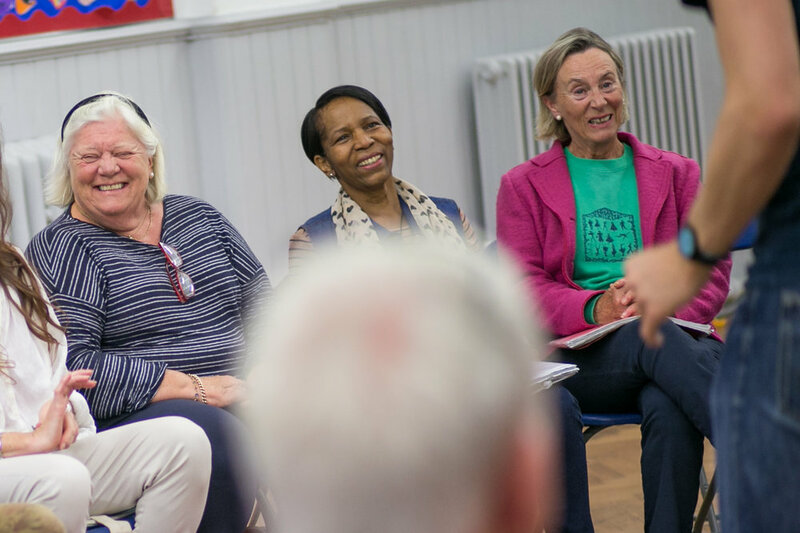 We perform each term in and around Barnes - in churches, pubs, community spaces and even street corners - as well as in other venues throughout London. Previous events have included performances at the Young Vic, the South Bank Centre and the Tate Modern. Our musical director is Joe Bunker, a freelance MD and Barnes resident, and our musical team is completed by accompanists, instrumentalists, and guest conductors including West End singers and musical directors.